Select this title Sharpe's fury / Bernard Cornwell. [Book] 2006 Shelf Location: L COR. Alexander, Tamera 2017 Shelf Location: ALEX. Alexander, Tamera 2019 Shelf Location: ALEX. Select this title The water diviner / Andrew Anastasios, Meaghan Wilson-Anastasios ; based on the original screenplay by Andrew Anastasios and Andrew Knight. [Book] Anastasios, Andrew, 2014 Shelf Location: ANAS. Aryan, Stephen 2015 Shelf Location: ARYA. Select this title Toby's room / Pat Barker. [Book] Barker, Pat, 1943- 2012 Shelf Location: BARK. Beaulieu, Bradley P. 2018 Shelf Location: BEAU. 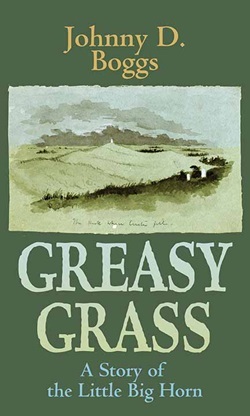 Select this title Greasy grass : a story of the Little Big Horn / Johnny D. Boggs. [Book] Boggs, Johnny D. 2018 Shelf Location: Access this eMaterial online. Select this title Possession / Florencia Bonelli ; translated by Kit Maude. [Book] Bonelli, Florencia 2014 Shelf Location: BONE. Bowers, Terrell L 2016 Shelf Location: L BOWE. Select this title The absolutist / John Boyne. [Book] Boyne, John, 1971- 2011 Shelf Location: L BOYN. Butler, Gwendoline 2007 Shelf Location: L BUTL. Select this title The lace weaver / Lauren Chater. [Book] Chater, Lauren 2018 Shelf Location: CHAT. Select this title The war artist / Simon Cleary (author). [Book] Cleary, Simon 2019 Shelf Location: CLEA. Cole, Kresley 2014 Shelf Location: COLE. Cole, Kresley 2017 Shelf Location: COLE. Select this title Heaven should fall / Rebecca Coleman. [Book] Coleman, Rebecca 2012 Shelf Location: COLE. Cook, Will 2009 Shelf Location: COOK. Select this title Sharpe's eagle : Richard Sharpe and the Talavera Campaign, July 1809 / Bernard Cornwell. [Book] Cornwell, Bernard, 1944- 1994 Shelf Location: CORN.